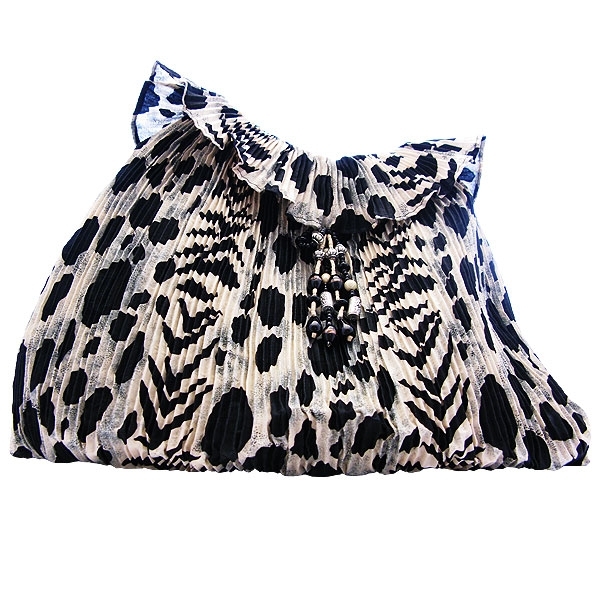 Black and cream leopard print bag in polyester fabric. It has a frill at the top and beads dangling down from the center. It has one 24" black cotton belt. Great to take on holiday and is good for Autumn when leopard print is back in fashion.